The National Arboretum is home to over 44,000 trees growing in 94 forests across the huge 250 hectare (617 acres) site. While many of the forests are still young, two are almost 100 years old – the Himalayan cedar and Cork oak forests. 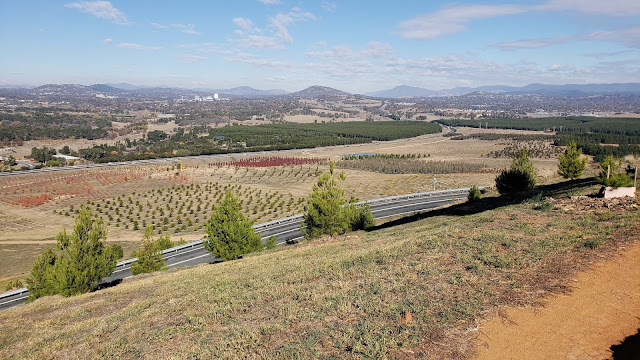 One of the largest tree conservation projects in the world, the National Arboretum focuses on the conservation, display and study of rare, endangered and significant trees from Australia and around the world. Amelia and I found time to journal while on Dairy Farmers Hill. It was the perfect place to sit and journal. The weather couldn't have been more pleasant with the sun shining and a light, gentle breeze. 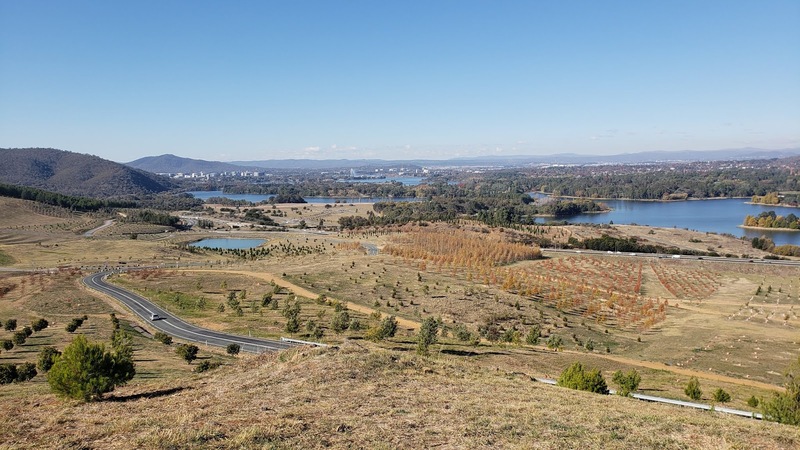 Looking directly North at Lake Burley Griffin and Canberra. This tree in the forefront is one of the few on this property that did not burn in the bush fires. I think it is an Aleppo pine. Amelia and Karli journaling atop Dairy Farmers Hill with Telstra Tower in the distance. While we were on Dairy Farmers Hill we met a couple who live in Canberra and were having a picnic lunch. They said even though they live here, they make a point of visiting the Arboretum and bringing a picnic lunch to enjoy an afternoon. I think if I lived here, I would do the same. 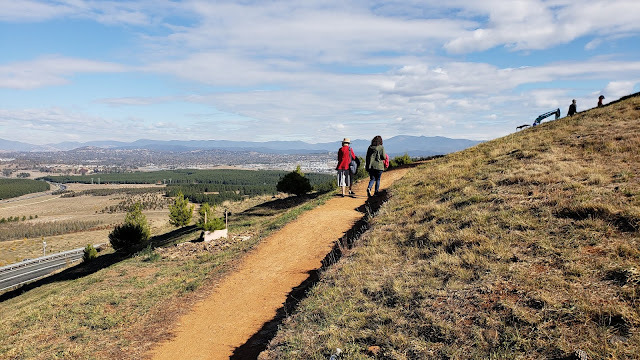 We haven't packed a picnic lunch when we've visited, usually grabbing a sandwich or coffee in the Village Centre, but I've always thought it would be lovely to have lunch and wine at one of the lookout points. I absolutely love this place--I am looking forward to seeing the young forests mature over the years. 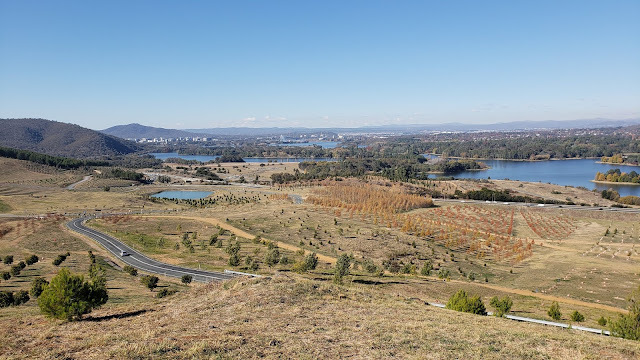 The city of Canberra is certainly a special place, and we already have many memories of time spent here together.